*This post is sponsored by The Home Depot. All opinions are mine own and are uninfluenced. I'm so excited to share today's project with you guys! If you follow me on Instagram, you've seen some sneak peaks. I share my latest and greatest on Instagram, along with tips and what inspires me. Last week, I asked what you all think of black interior doors. 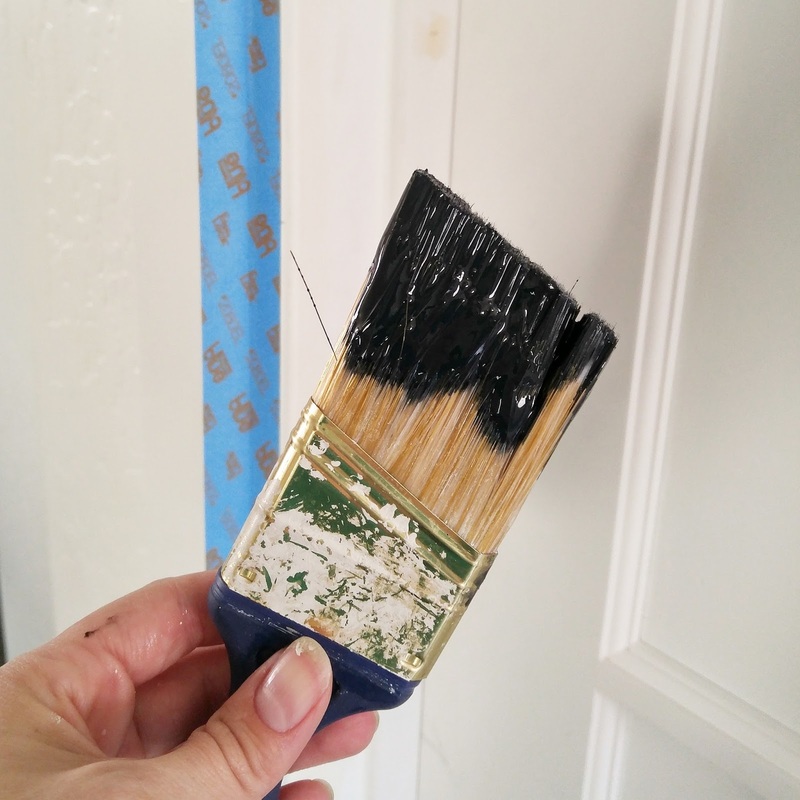 And today I'm finally revealing my french doors and DIY transom window! But first, let's look at the lovely "before" picture. 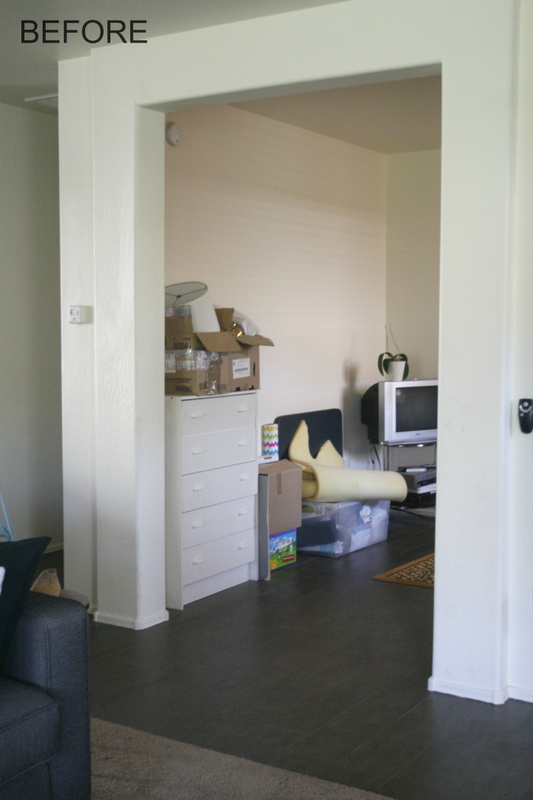 We knew we wanted to install french doors from the day we moved in, but I'm sad to admit this open doorway (right off the living room) looked like this for the past 10 months. We picked up a set of in-stock, 60" x 80" french doors from Home Depot, and I built a DIY transom window to fill the space above. It was much easier to install than it looks and I LOVE how it turned out! For the full tutorial, head to The Home Depot Apron Blog. I'm sharing more photos, as well as step-by-step instructions, just like my cement tile doormat. Like this project? Pin the image below and save the idea for later! This tutorial was wonderful! My husband and I installed a pair of french doors and transom window based on your great instructions. Question, how do you install the ball-catch strike plates? Our doors (also from Home Depot), came with the ball bearing installed, but there are no instructions for how to install the plate. Do you chisel it out? Drill a hole? Thanks! Wow! 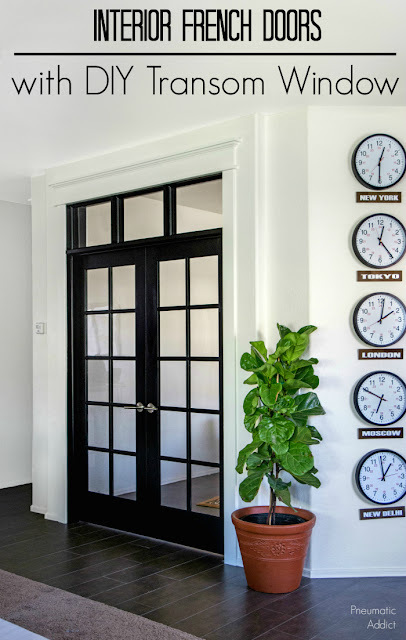 !On the white wall glass french door with the black shades is a great idea. I have a grate weakness with french door. 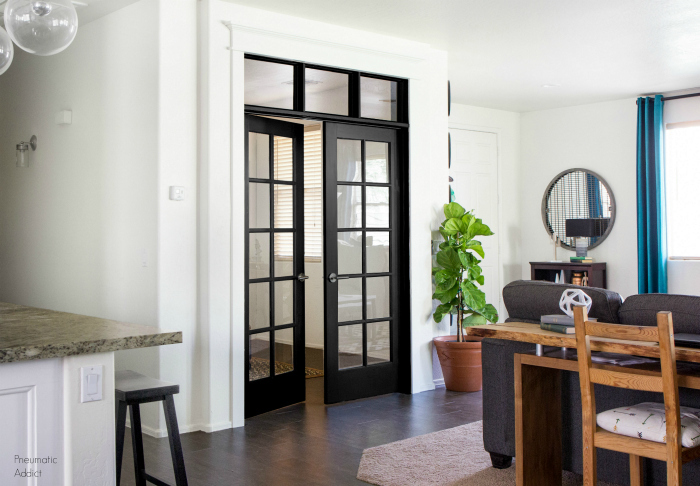 Interior French doors make your indoor and outdoor living spaces interconnected.French door creates a beautiful barrier between two spaces inside the home.